Today, we’ll focus on the Recon Class, the headshot collector and enemy detector. Privileged enough to wield the mighty sniper rifle, the Recon Class casts a long shadow over any battlefield. Whoever chooses this class, if they be worthy, will possess the power of long-range weapons and tools. This includes not only a variety of rifles that can slay enemies from afar, but Gadgets and sightlines that help you collect and relay intelligence to all teammates. Enemies know this Class as the gleam of light before they see the white light. A precise, patient, and well positioned Recon player can clear most objectives without ever coming under fire. Recon has access to a slew of rifles that rely on accurate, single shot firing. Their ability to steady their aim makes the most of these weapons, but Recon can also be more than effective at medium range, with some training. You don’t have to be the best shot in your squad to contribute, however, as your Gadgets are designed to spot enemies and defend choke points. The Sniper Combat Role goes to the ghost who haunts in the distance, the myth who lives in the hills, the soldier who was never there. The ice water in your veins allows you to hold your breath to steady your rifle for an extended period, making it easier to dispatch enemies in streaks. Land a headshot, and you’ll slightly extend the duration of your steadying breath. Steady Hands: Steady your rifle when aiming down sights for a longer duration. Expert Marksman: Your steady duration is partially replenished with each headshot kill. Where the Sniper leads from afar, the Pathfinder Combat Role leads from the front, and behind enemy lines. When a battle shifts locations, you ensure that your squad is not far behind. 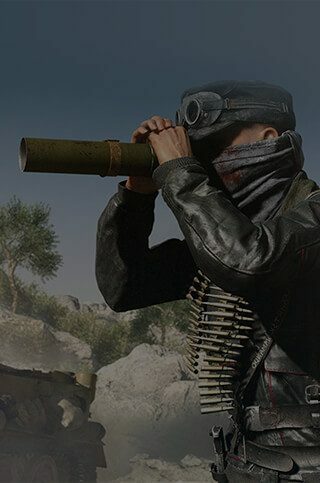 You have the ability to spawn on any Squad Leader on your team, scout the situation, and then deploy a Spawn Beacon, so that your squad can follow the latest point of conflict. The Spawn Beacon can also be used to bring your squad to an uncontrolled objective for a quick capture or, if sneaky enough, deploy behind enemy lines to take it from within. 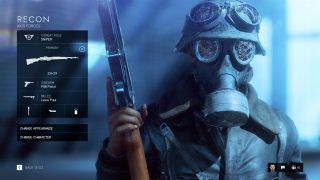 Advance Scouting: You can spawn on friendly Squad Leaders and Spawn Beacons from outside your own squad. Vanguard: You gain additional Requisition Points when someone spawns on your Spawn Beacon. Developers came in from the cold to deliver some raw intelligence on the best ways to play the Recon Class. Here’s what they had to say to help Recon players hit the ground firing. Recon is typically the Class for players who prefer to engage at medium to long range with Bolt Action Rifles or Self-Loading Rifles. 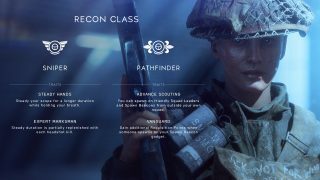 In Battlefield V, the two Combat Roles within this Class have different strengths tailored to different playstyles. When playing as the Sniper Combat Role, find the perfect sniping spot at long range and hold your breath to steady your scope. Try to string headshot kills together to keep your steady duration replenished. Pathfinders should look for the latest hotspot on the map, spawn on another squad’s Squad Leader or Spawn Beacon near that location, then use a Spawn Beacon gadget to open the area to your squad mates so they can quickly transport across the map and join you.